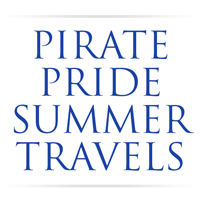 Hampton University students took their "pirate pride" across the globe this summer with research, internships and study abroad opportunities across the country. Rising Seniors Britney Johnson, from Surry, Va., and Zachary Hinton, from Raleigh, N.C., traveled to the United Kingdom to study at Hertford College, a school within prestigious Oxford University. The two also visited nearby countries Fez, Rabat, Merkez in Morocco, London, England, and Paris, France. 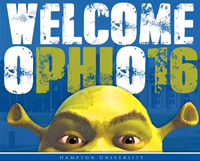 The Hampton University family is excited to welcome the Class of 2018 to the Hampton family. Click here to see a welcome from Student Government Association (SGA) President Lawrence Rigby and meet members of OPHIO 16.